Currently there are multiple organizations whose mission is to employ or educate immigrants and refugees. Unfortunately all of these organizations work independently and collect information mainly through phone calls and thus data collected is fragmented. Sometimes companies need an employee on a very short notice and it is a time consuming process to find a suitable person for the job. Hackathon is an event wherea group of people meet for a predetermined amount of time to innovate solutions to the challenge they are given. The connecting factor for the Hackathon events is the mindset of the participants. The ability to jump into something new and interesting. In Worktinder -hackathon we will innovate solutions to the problems related to the immigrant and refugee employment. How the data could be shared between organizations and what kind of platform could be used to find the perfect match? 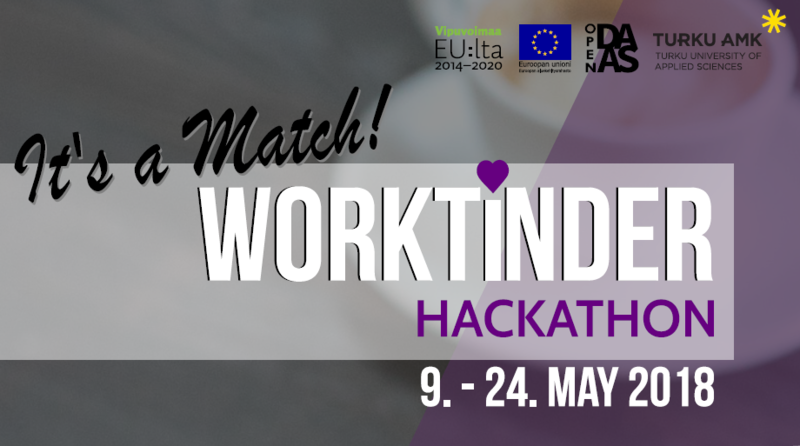 Sign yourself to the Worktinder -hackathon by sending an email to vesa.lankila@edu.turkuamk.fi by 6th of May.